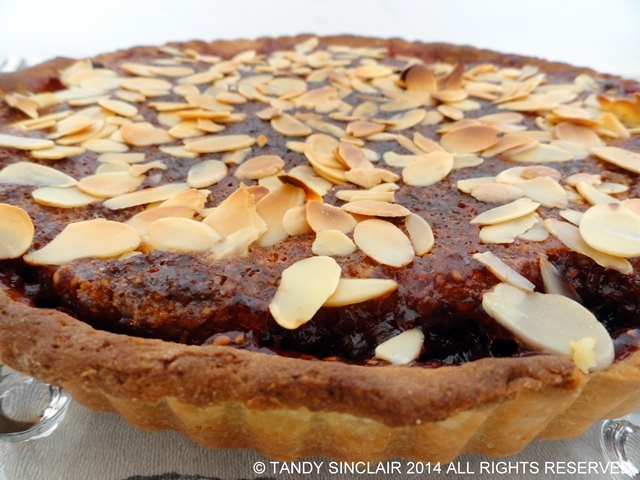 Bakewell tart gets it sweetness from the jam and the crunch from the almonds on top. This year marked an extremely special occasion in my life. I went to spend time with my aunt and cousin whom I have not seen since Christmas 1988. My mom’s sister moved from South Africa to America when I was a baby. She had met and married an Englishman and they settled in New Jersey with my cousins, Anne and Steve. Anne moved to the UK as a young adult and Evie moved there with her husband Tommy who has since passed away. I must say I was quite nervous to meet them as an adult. We have exchanged emails for years but that is not quite the same as getting a hug! We arrived at Anne’s house mid morning after travelling from Heathrow on the scenic route so that Dave could revisit his past. When Anne opened the door it was as if we had spent our entire lives growing up together. There is just a special bond with families. Evie arrived after we had showered and we sat down to coffee and Bakewell tarts. This was the first time I had ever tried these and they tasted fantastic. They were so good I could have helped myself to seconds, but I knew we were going out for lunch and I also wanted to save space for the family dinner we would be having that night. 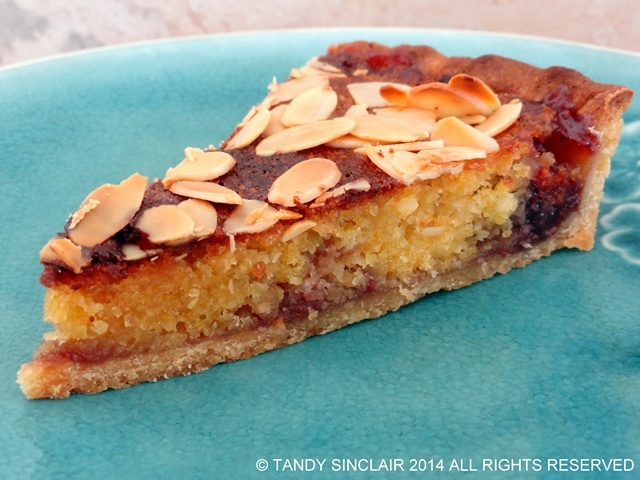 We had not been back from the UK for too long before I decided to make my own Bakewell tart. Just one bite took me back to being at Anne’s, sitting around and catching up on over 25 years of life. Your bakewell tart is gorgeous and I can almost taste it from here with your beautiful photos and recipe list. I think it is amazing how food can trigger so many memories. Lovely story Tandy. No matter how many times you have written and chatted in cyberspace, there are always those little butterfies at that first meeting. I really enjoy bakewell, particularly when the jam becomes a little chewy around the edges. I have driven through Bakewell in the north of England but alas, it was in the evening and there wasn’t a tart to be found! Thanks for the recipe. 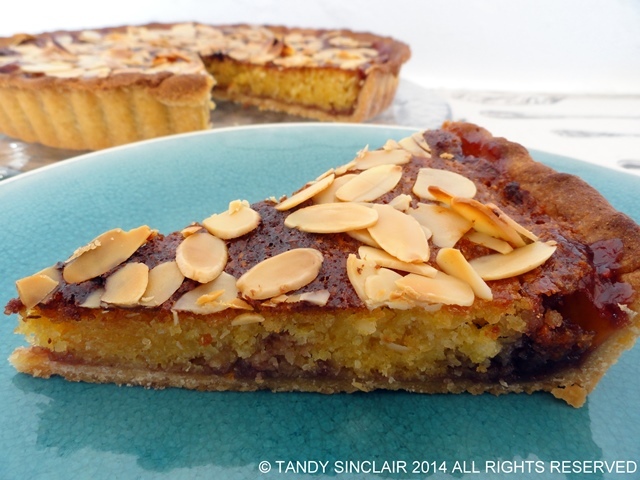 Nothing beats a good Bakewell Tart – and yours looks fab, Tandy. Sweet tarts and sweet hearts! What a great post, Tandy!!! What a lovely family reunion and great tart. Have a wonderful Monday Tandy.